Tow truck goes into Sacramento River after crash, official says -- SACRAMENTO, Calif.
A tow truck went over Pioneer Bridge and into the Sacramento River Tuesday night after getting into a crash with a semi-truck, the West Sacramento Fire Department said. Search crews located the tow truck about 30 feet under the water, but had to call off recovery efforts for the night because water conditions were too dangerous, Battalion Chief Scott Pfeifer said. On March 26, 2019, at approximately 2023 hours, the CHP Sacramento Communications Center received a call of an overturned vehicle into the water that came from the Pioneer Bridge. The callers described the vehicle as a white flat bed tow truck that drove over the center median bridge railing and plunged into the Sacramento River. Units from the South Sacramento CHP Area office and the CHP - Woodland Area office responded to the scene. It was determined that a two vehicle traffic collision occurred on westbound US 50 just east of the Sacramento/Yolo county line. The traffic collision involved a big rig and the flat bed tow truck. After the initial collision, the flat bed tow truck veered to the left, collided with the concrete and metal bridge railing, before going over the side and falling approximately one hundred and fifty feet into the Sacramento River. The driver of the big rig stopped at the scene and cooperated with CHP personnel. Personnel from the Sacramento Fire Department, the DART - Sacramento Drowning Accident Rescue Team, Sacramento Sheriff Marine Unit and CHP - Valley Division Air Operations helicopter H-24 all responded to the area. They were unable to locate anyone in the water or on the shore. DART located the vehicle with sonar in the middle of the river approximately 30’ under water. The water conditions did not allow for any DART personnel to attempt a rescue. The South Sacramento CHP Area office is requesting the public’s help. If you witnessed this collision please contact the South Sacramento CHP Area office, (916) 681-2300. UPDATE: "Donald Singh said his sister, Roselyn, was in a tow truck with her husband heading west on Highway 50 toward the Pioneer Bridge around the time of the crash. He fears the worst." How very horrible. Christine and I send our prayers to this tower's family and the company he worked for. 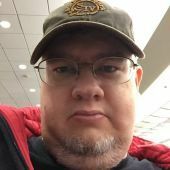 R.
I don’t ordinarily talk about my past, but I have to respond again to this post in a different manner as it helps me handle my own personal PTSD. Although this message is lengthy, please read this in its entirety. Regarding this horrible tragedy, I’ve read some unfair comments made by tow company personnel and others at the decisions to cease (temporarily) rescue efforts citing unsafe conditions. To that I share, in September, 1975, I was a young police officer saddled with the task of monitoring the San Diego River during El Nino storms. I remember a similar incident of a heroic rescue attempt where three firefighters drowned attempting to rescue others. Fast forward to 40-years ago, firefighters were attempting to rescue distressed rafters that went into New York’s Susquenna River. During initial rescue attempts, they rescued one rafter from the water with a rescue buoy, but didn’t get the second rafter. Firefighters went back into the swollen river in a small Boston-Whaler type boat when the current sucked the boat into the churning water. All three were tossed into the water. A second boat went into the water and they too capsized. We towers should always remember that, when speed of recovery goes up, safety oftentimes goes down. I want this narrative to serve as training topic for three reasons; one, swift-water tow recoveries are ALWAYS dangerous where I know of as many as five tow operators who died swimming or trying to extract vehicles from swift-water. Two, Mother Nature serves up dangerous conditions that man can never correctly estimate or beat, and three, I had a near drowning experience a few years ago on the Carson River where I’ll attest that even the strongest swimmer may not be able to beat the forces of the river. Note: The video I’ve attached is graphic. The video serves as a reminder that, NO rescuer is safe from the unknown or unseen dangers of any scene. While emotions always run high in these kinds of scenarios, when there’s risk to rescuers, sending rescuers in hastily sometimes leads to additional fatalities. Like the firefighters that you’ll see (if you watch the video), when they tried to attempt rescue under extremely unfavorable conditions, they lost their lives in the line-of-duty. But, where is it written that common sense should trump acts of safety and bravery? And, for those nay sayer’s who’ve dissed the decisions made in Sacramento this week, you should be ashamed of your nonsensical comments. Comments that degrade the brave Sacramento’s first responder community are uncalled for. I have every faith the carrier will be recovered when fast flowing waters have slowed. It’s my hope that tower’s come away with a smarter view of just how vulnerable first responders are. And, in that, I also pray for the safety of those rescuers who ultimately will go into the Sacramento River. The water will reside eventually and recovery will take place under proper conditions. Until then, it’s far too dangerous to risk the lives of others via some knee-jerk reaction. I hurt for the Sharma family. R.
Pretty Sad for the family and friends of the couple I used to Dive in the river it is dangerous when the river is normal all kinds of stuff down there to get stuck or cut up on. But they should mark it with a bouy could drop a hook on it with a float to make sure it don't get pushed down stream, bring up a large barge with big hooks and cable or chain and a crane hoist it to the bank and drag it out. Don't let it get down stream it gets real deep across from where the Marina is aand very swift. 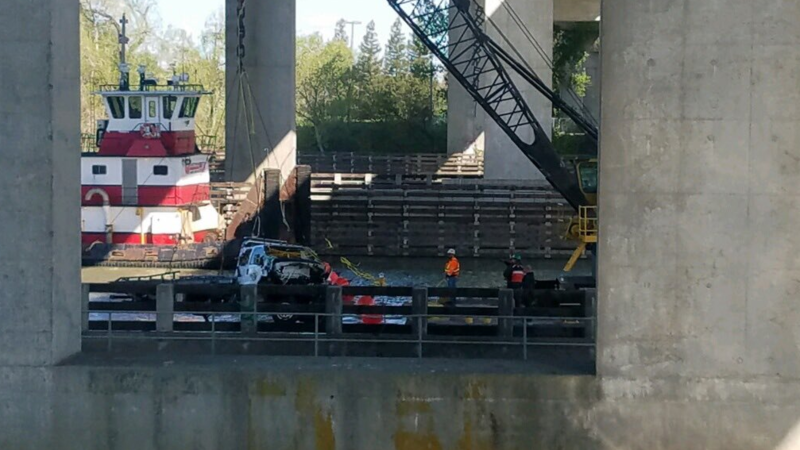 SACRAMENTO (CBS13) — Divers are set to recover the tow truck that plummeted off the Pioneer Bridge into the Sacramento River this Friday. 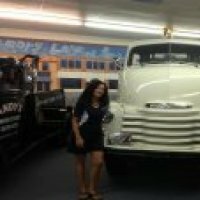 his comes over a week after officials located the truck, but could not safely recover it and the couple presumed to be inside. The truck crashed into the river around 8 p.m. on March 26. CHP South Sacramento said the recovery effort will come from Global Diving and Salvage, with local agencies on the scene. The Bay Area company is expected to leave Thursday morning. According to CHP, the family got power of attorney of Justin’s Towing Wednesday and contracted Global Diving and Salvage to do the recovery through the tow truck company’s insurance. Global Diving and Salvage plans on transporting a barge with the necessary equipment to make a recovery of the vehicle from their Bay Area headquarters tomorrow with the barge arriving sometime in the evening. Officials said the recovery could take up to two days. There is no word on the couple believed to be inside. The family of Shalvinesh and Roselyn Sharma believe their bodies are at the bottom of the Sacramento River, but local crews had not been able safely to locate the truck and couple due to rapid, frigid waters. The water is moving at about four feet per second. Last Monday, a commercial dive team was called in to help with the recovery effort. They used sonar to find the tow truck, pinpointing the location through sound waves. They now believe they have located the truck using sonar technology, but crews have not actually seen or touched the truck. The water was too dangerous for local divers, so Solano County divers came to help on Saturday, but the water was still too dangerous. The body of man who was in a tow truck that plummeted into the Sacramento River two weeks ago was recovered Thursday, family members and the California Highway Patrol said. Shalvinesh Sharma’s body was found around 8:45 a.m. south of Stan's Yolo Marina, which is toward the West Sacramento side of the river, authorities said. Shalvinesh Sharma, 40, was in the tow truck with his wife Roselyn Sharma when the truck plunged into the river after a crash with a big rig on the Pioneer Bridge. The collision hurtled the truck over the bridge rails and into the water. Divers and a barge are headed to the Sacramento River in order to help recover the body of Roselyn Sharma. Get the full story in the video above. The truck was recovered this morning at approx. 9:30 am Pacific time. The found the body of Shalvinesh Sharma was found on Thursday five miles down river. The Roselyn Sharma was recovered with the truck. Our hope and prayers go out to the family and friends. In loving memory of Rimal Shalvin Sharma and Roselyn Sharma who are forever in our hearts. on April 18th from 2pm to 4pm at Sacramento Memorial Lawn , 6100 Stockton Blvd, CA 95824. Thanks for all your support !! — with Roselyn Sharma and Shalvin Sharma. Christine and I send our heartfelt prayers in the loss of the Sharma's. We will not be able to attend, but know we are there in spirit. R&C Alpine, CA. Very tragic. Our thoughts and prayers are with the family.